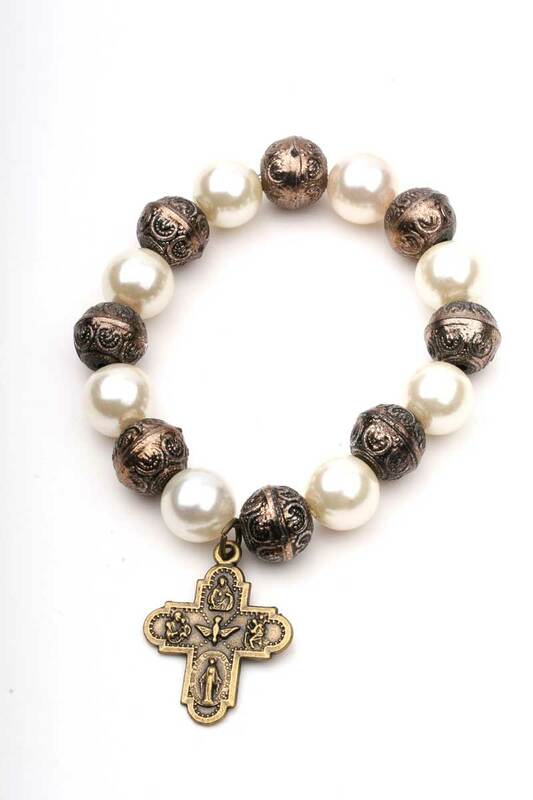 Stretchable religious bracelet with 5 Way Cross finished in Antique gold. 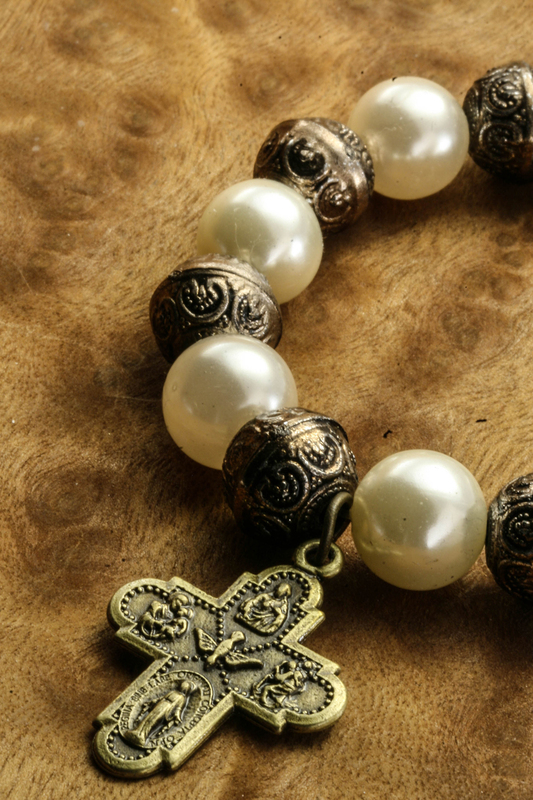 Round faux pearl beads 10mm and metal 11mm beads. 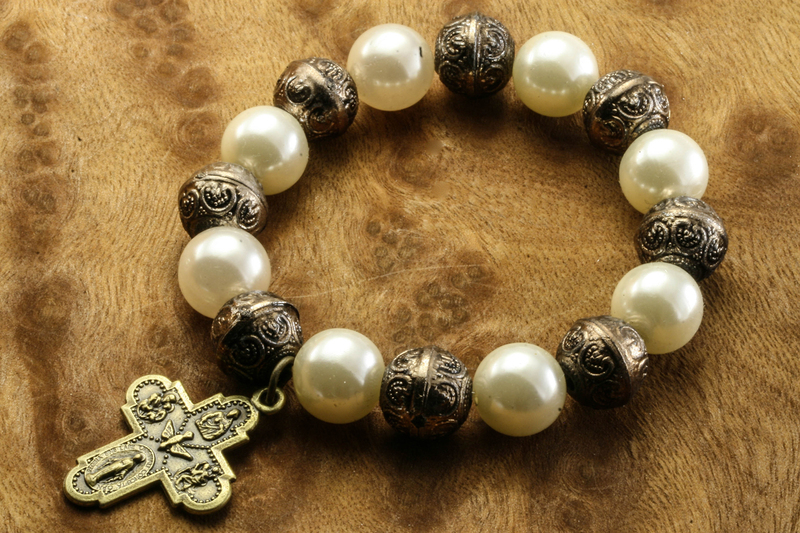 Should fit small and medium female wrist.